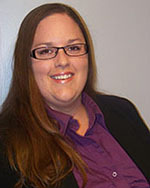 Candace is a 2005 graduate of the University of Maine, Orono, where she received her Bachelor’s Degree in political science and played softball for the UMaine Blackbears. She went on to complete law school at Western State University School of Law in Southern California where she received her school’s highest honor in sales, elder law, and estate planning courses. Candace graduated in 2008 when she moved back to Maine and since then she has worked in the downeast region practicing estate planning and elder law with some of the region’s best attorneys. Candace also ran Augustine Law Offices out of Bucksport as a sole practitioner for over two years before joining Gross, Minsky & Mogul. Candace’s practice focuses on estate planning and elder law issues, including planning for the need for Medicaid long-term care; estate administration and probate matters; and transactional law. She is certified by the Veterans’ Administration to assist veterans and their families with planning for, and receiving, benefits from the VA.